Come on Down, The Weather's Fine! Come see this beautiful 3-bedroom, 2-bath, 2-car garage home in Lake Doe Cove! Features include a NEW ROOF last year, 42-inch Wood Cabinets, NEWER APPLIANCES, including Washer and Dryer and a neutral color palette throughout. Open Floor Plan home offers plenty of Natural Light. The Breakfast Bar-styled kitchen has a view of the dining area and the spacious Great Room with Vaulted ceiling. The Master Bedroom has a large Master Bath with a Vanity, Garden Tub, Separate Shower and a Walk-in Closet. Home is very well-maintained, move-in ready and perfect for entertaining family and friends. American Home Shield Home Warranty is included. Sliding doors open to the patio that overlooks a large yard and Green Space. 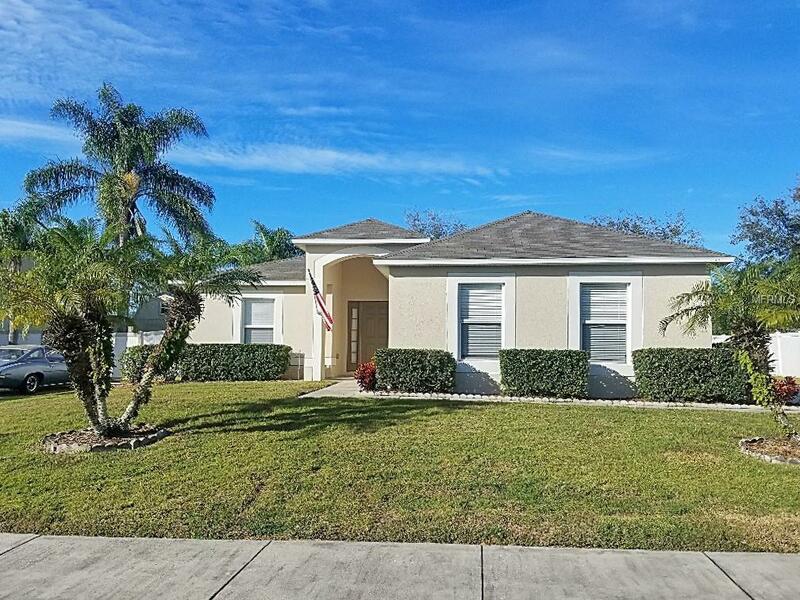 Outside, youll find a Side-entry, 2-Car Garage, Concrete Block with Stucco Construction. Its a short walk to the Tot-Lot and picnic area overlooking Sheppard Lake. Excellent Location near the Major Highways of 429, 451, 414 and 441, restaurants, Florida Hospital and shopping. Between Charming Mount Dora and Orlando and Central Florida Theme Parks and Orlando and Sanford Airports. Nearby State Parks, Camping and Bike Trails. One hour to Daytona Beach. Call today to schedule your private showing! I still remember the day I Sold my Snow Blowers! Additional Lease Restrictions Contact Association/Property Manager. Pet Restrictions Contact Association/Property Manager.